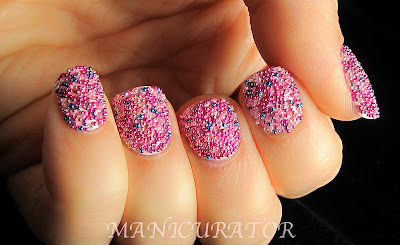 OK, so I'm late to "Fish Egg Friday"... here is my contribution to the formerly known as "Caviar manicure". I did this long before the Ciate fiasco and I love it. I even used Ciate's Strawberry Milkshake polish as the base. Again, this was before they wrote to bloggers with a C/D notice that they were in the process of trademarking this design. 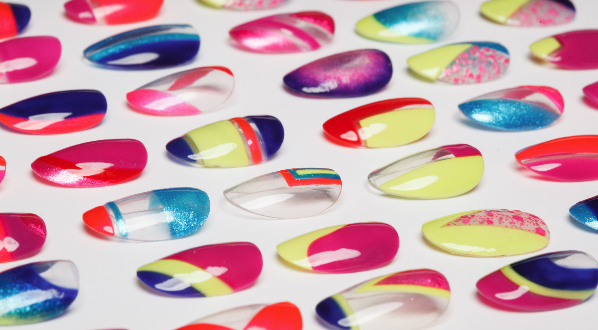 You can find more info and many more amazing fish egg manicures at one of my favorite blogs, Sammy from The Nailasaurus if you are interested. Jeanette from The Swatchaholic also wrote a great post on this subject. I went to Michaels's and bought a bunch of micro beads. The larger container is 2.99. I also got a Martha Steward multicolor one on sale for 9.99. YAY. I mixed up 4 different colors, yes, in my measuring spoon, because I wanted something large enough to just dip my finger into. 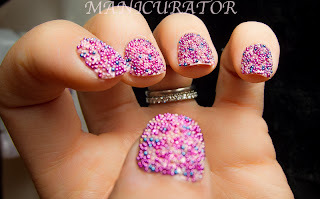 I think that is easier and neater than pouring the beads onto the wet nail. 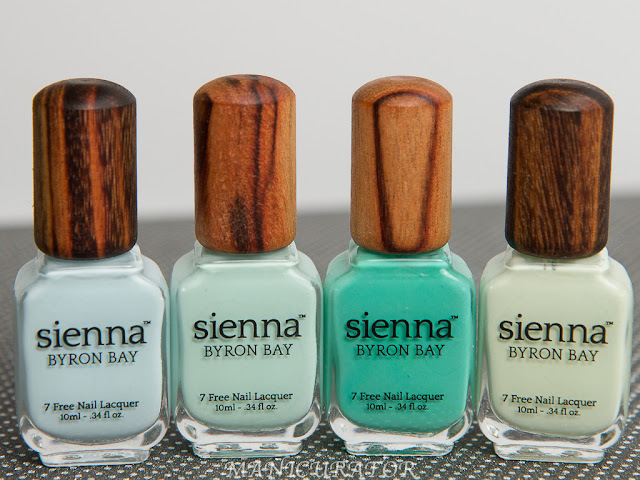 Paint your base coat and first coat of color and let dry. 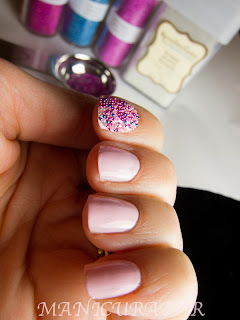 Then one nail at a time, paint the second coat and while wet dip your nail into the beads. 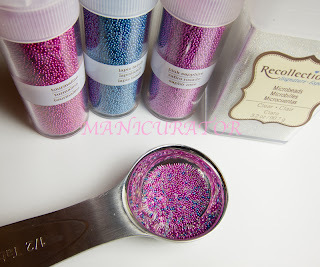 Press the beads gently into the nails and push together and clean sides if necessary. As I went from nail to nail I got better at doing that, so it is an easy process to master. I really had fun with this, love being able to pick the colors for the beads myself and loved having it on. It's such a cool, though not very practical, look. The strawberry milkshake is certainly irony. Awesome! Do you find that the beads fall off without a top coat over it? Thanks everyone! I did have beads fall off, but only on the tips. Perhaps leaving the polish a bit thicker (for the beads to sink into) or top coat just at the tips would help keep them on longer. I really love this and the colors you chose! I love how you mixed the colors together!